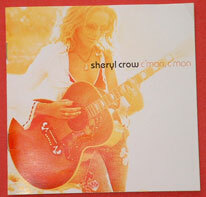 I bought Sheryl Crow's C'MON C'MON thinking it would be the usual blend of standup pleasantries ... good old Sheryl Crow, always dependable ... but when I popped this into the car stereo and started driving down the dusty highway, I realized that I had stumbled upon something extra special ... a MELANCHOLY CD!!! Other then the first two way-the-hell-too-happy selections, virtually every song on this album is perfect background music for a good session of wallowing. Angry wallowing, sad wallowing, fek-off wallowing ... it's all here! Plus lot's of tempo change and an excellent mix so the wallowing doesn't get stale. 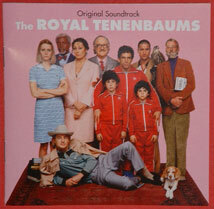 It's Jackie mania .. a Kennedy frenzy ... and the Camelot craze all packed into one CD. 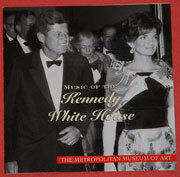 MUSIC OF THE KENNEDY WHITE HOUSE is a collection of John and Jackie's personal favorites. The scope of it is amazing. The only CD that I can play on a consistent basis that, in one session, brings out the tap dancing fool (Count Basie's CORNER POCKET), shames me into rush confession (Mahalia Jackson's RUN ALL THE WAY), makes me think that I too can win a gold medal (Dallas Symphony Orchestra's FANFARE FOR THE COMMON MAN), urges the need to be dipped and then kissed (Alan Jay Lerner's THERE BUT FOR YOU, GO I from BRIGADOON), and beckons a road trip (Leonard Bernstein's SOMEWHERE excerpt from WEST SIDE STORY) . Did I mention there's also Opera and Ella and Chubby to boot. Available at museummusic.com. BECK!!?!?!? Loser guy!?!?!?!? Psychedelic funk man!?!?! Snap the hell out of it! 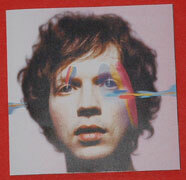 Dearest Beck takes morose to levels of flatline with his latest CD and no amount of wishing and hoping will change his utter sadness. Brightest moment in this dim world? LOST CAUSE - very, very wonderful and worth the price of SEA CHANGE admission. This CD is dedicated to Loretta Lynn. Need I say more? 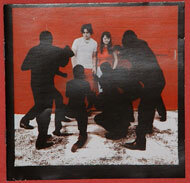 The WHITE STRIPES have an eclectic wit. Even the Coal Miner's Daughter would be proud of the unique sound that can deliver a blend that ranges from the feel-good-gotta-shake-it : FELL IN LOVE WITH A GIRL to the flick-the-dirt-away: I THINK I SMELL A RAT. Nice stuff ! AND it manages to stand alone - far away from the HIVE/VINE crowd. This soundtrack gave me NICO and for that I am eternally grateful.